Do you need extra help for EL students? 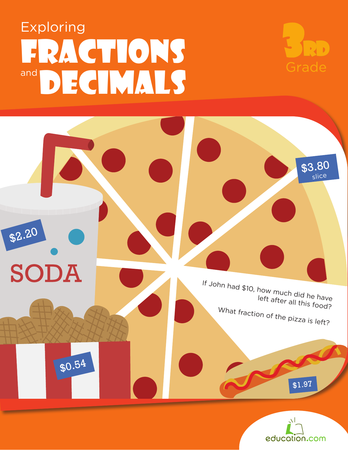 Try the Multiplication and Division: What's the Connection? pre-lesson. 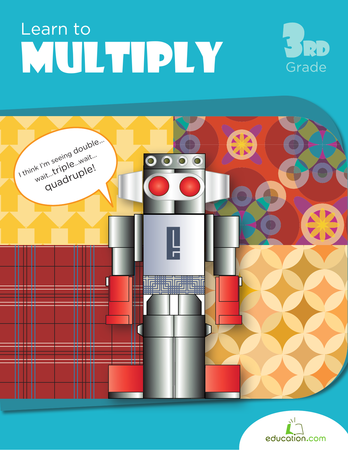 Students will be able to show understanding of the inverse relationship between multiplication and division. Draw a picture of 7 groups of 12 on the board and ask students to turn and share in pairs what they see and notice about the drawing. Listen for key terms such as "groups of," "multiplied," "divide," "repeated addition," etc. Ask students to share their ideas and write them on the board. If they haven’t given an equation, ask them to write on the board as many equations they can think of that relate to the picture (e.g., 7 x 12 = ____, 12 + 12 + 12 + 12 + 12 + 12 + 12 = ____). Ask students to solve for the blanks in partners if they hadn’t done so in the sharing portion. Circle the multiplication and division equations and rewrite them on the board stacked on top of each other. Explain that today they’ll review the inverse relationship of multiplication and division to help solve future word problems. 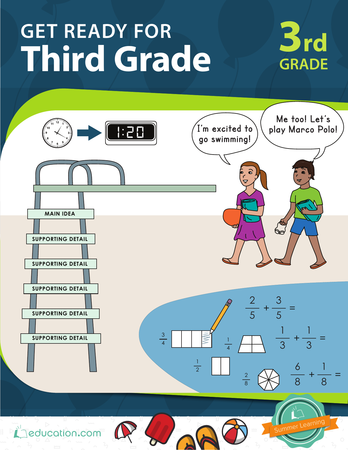 Place students with a partner who speaks the same home language (L1) for the sharing portion of the introduction. Allow students to solve for the blanks with a supportive partner. 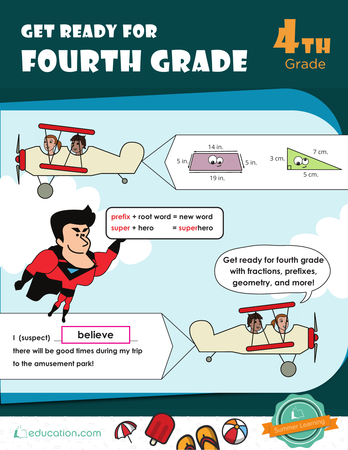 Provide student-friendly definitions for the key words mentioned in the introduction such as, "inverse," "multiplied," "groups," "division," "repeated addition," etc. Include an image and example as needed. Define inverse operation as an operation that reverses the effect of another operation. With multiplication and division, if you multiply to get a product, you can use division to reverse the operation by dividing the product, and vice versa. The product is the answer when two or more numbers are multiplied together. 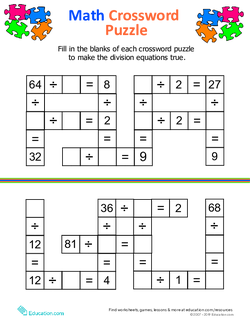 Provide a simple multiplication and division problem using the same numbers. Model how you can change a division problem into a multiplication problem to make the division problem easier to solve. Highlight that converting multiplication equations to division equations is a strategy to divide by focusing on memorized or familiar multiplication facts. Check your answer using the picture representation of your choice (e.g., arrays, equal groups, tape diagrams, etc.). Have students restate the definition of "inverse operation." Write out the steps needed to convert a division problem into a multiplication problem. Have students read the steps to a partner. 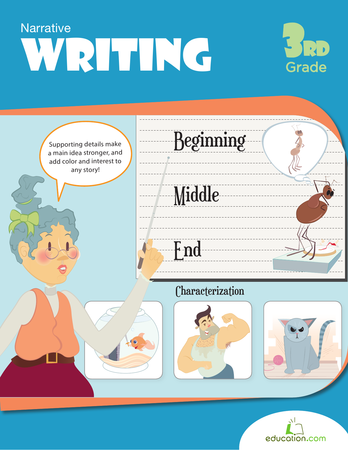 Create a word/phrase bank of pertinent terms, along with examples and definitions. Leave the bank displayed for the remainder of the lesson and refer to it throughout. Distribute the worksheet The Inverse Relationship of Division and read the directions. Tell students they’ll work in pairs to answer the questions and find the inverse of each of the equations. Conduct a multiplication fluency game in which there are two teams placed in two lines perpendicular to the board. 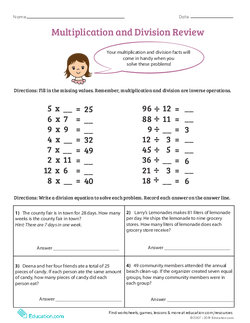 Project the Division Facts to 100 with One-Digit Divisors exercise and have one student from each team compete to quickly convert the division equation to a multiplication problem and provide the answer. The students who get the correct answer first win a point for their team. Allow them to use whiteboards as necessary. Tell students to use the sentence frame to discuss the worksheet as they complete it with their partner: "The equation ____ is the inverse operation of ____." 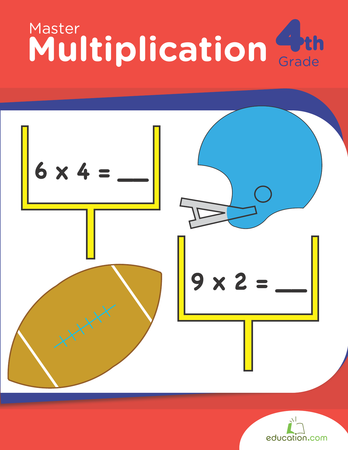 Allow students to work with a teammate to discuss the answer of the inverse operation during the multiplication fluency game before sharing it with the class. Let students use bilingual resources such as online dictionaries to help them look up any unfamiliar terms related to the content. 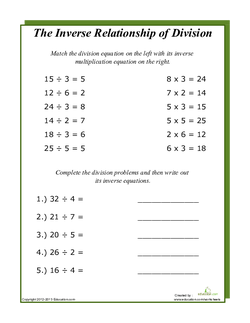 Distribute the Multiplication and Division Review worksheet and ask students to complete the top section on their own. Allow students to meet in partners to share their answers and correct misconceptions. Choose students to share any corrections they made and their process to get the right answer with the class. Pull aside a small group of students and guide them through the Independent Work by asking prompting questions such as, "What is the inverse operation of this equation? What makes you say that? How do you know the answer is correct?" Allow students to work on the top portion of the worksheet with a partner. 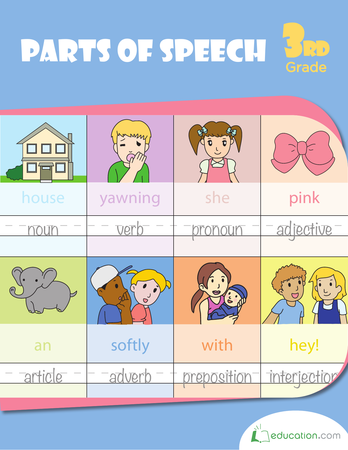 Give students access to the Vocabulary Cards as reference for this part of the lesson. 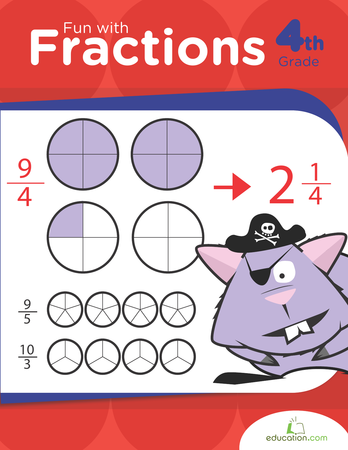 Provide a pre-lesson with simple multiplication and division problems with manipulatives and a review of vocabulary terms and their meanings. Allow students to practice converting equations with a common factor (e.g., 8 x 3 = 24, 9 x 3 = 27, etc. ), then transition to other factors. Use a worksheet like the optional Division Facts: 9s worksheet for assistance. 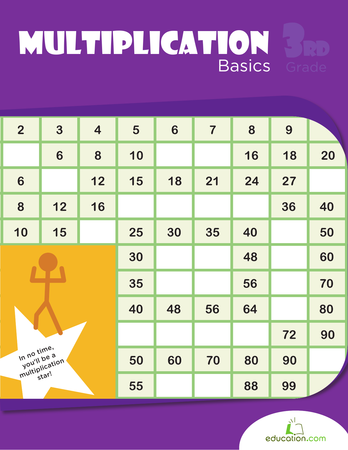 Allow students additional practice with the inverse operations of multiplication and division with the Math Crossword Puzzle worksheet. 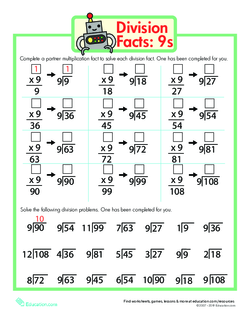 Additionally, allow them to practice division with the Division with One-Digit Divisors and Missing Factors exercise. Ask them to complete the word problems in the Multiplication and Division Review worksheet and show their method and equations, or create their own word problems. Write the following numbers on the board: 72, 9, 8. Distribute the index cards and ask students to write a multiplication and division equation using those numbers. Then, ask them to write how they know their answers are correct. Allow them to read their explanations to their elbow partners. 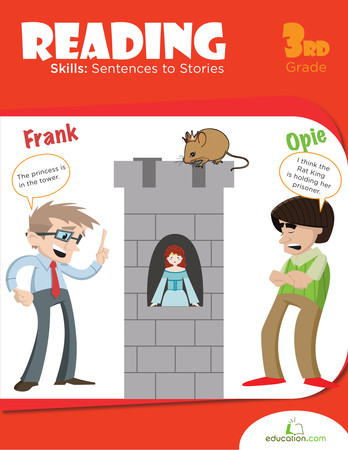 Provide sentence frames to help students complete the assessment: "____ times ____ is ____. The inverse operation is ____ divided by ____ is ____. I know my answers are correct because..."
Have students rephrase the directions of the assessment task to a partner before competing it. Encourage students to use the displayed word/phrase bank to assist them with their explanation of the math process they use. Have students turn to their elbow partner and have them discuss why it is important to understand the relationship between multiplication and division (e.g., solve unfamiliar division problems with multiplication and vice versa). Review some of the ideas students shared in partners with the whole class. 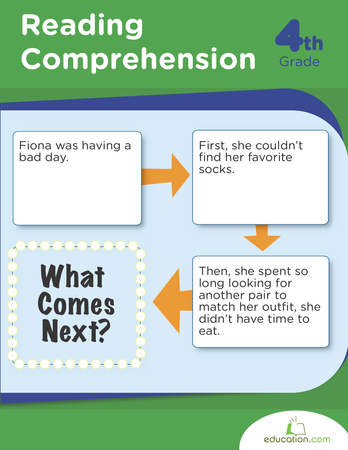 Display sentence frames to aid in students' discussion: "Multiplication and division and inverse operations because... It is important to understand the relationship between multiplication and division so that..."
Place students in small groups based on language needs for the group discussion. Have students restate or add on to their classmates' comments.